We met Don and Lilly* when they were in the early design phase of building their home. They reached out to us with just a few general questions about our natural thin stone veneer. 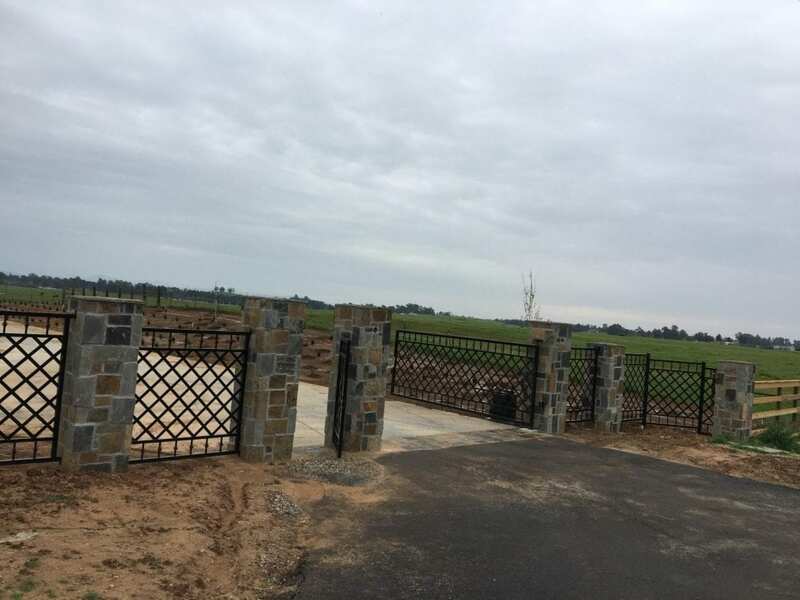 We smiled, settled in, and discussed the quality and selection of our thin stone veneer, our business model, our customer ratings, and helped them navigate through the features of our website. When we ended the conversation, we knew we had given Don and Lilly all the tools they needed to explore on their own and hoped to hear from them again soon. Just a few days passed before we received another phone call from Don and Lilly. They had used the color, style, and finish selector on our website and combed through all the products that aligned with the dream home they had in mind. Don and Lilly were interested in large rectangular pieces with a variety of colors. One of the things that required extra consideration for Don and Lilly’s California dream home was the scale. Between the home, garage, and landscaping, the amount of natural stone needed was just over 5,000 square feet, plus corners. 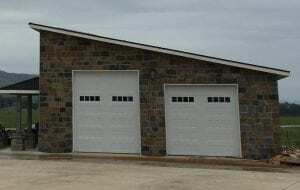 A general rule of thumb with thin stone veneer is: the larger the project, the larger the pieces. For sizable exteriors like this California home, a Castlerock style highlighting large, blocky pieces is most commonly used. 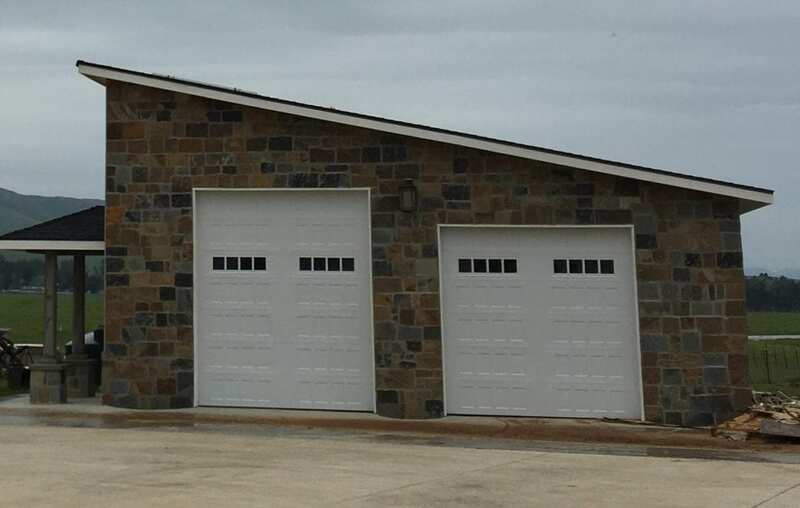 The small stone pieces of the Ledgestone and Dimensional Ledgestone styles are not typically used for large projects because they can become distracting and appear too busy on larger applications. 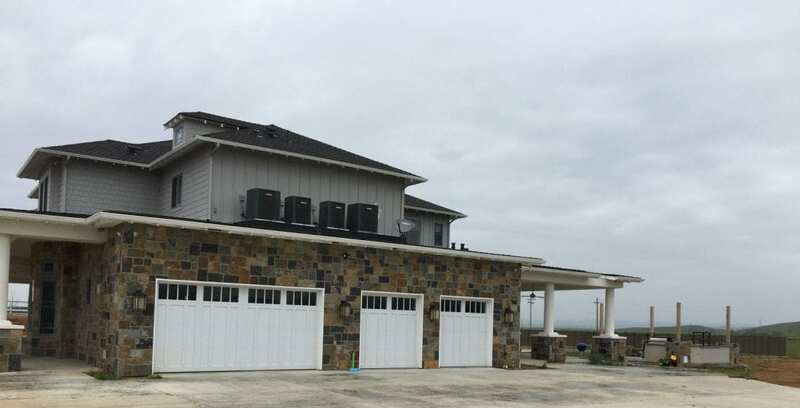 After we thoroughly discussed the couple’s criteria and reviewed the stone options, Don and Lilly selected Potomac Natural Thin Stone Veneer as the focal point for their California dream home. Within 48 hours, we sent out a Potomac Natural Thin Stone Veneer sample board to Don and Lilly. The board confirmed the color, texture, and size attributes they had fallen in love with through the application photos on the Quarry Mill. It was exactly what they had hoped it would be. Don and Lilly placed an order and handed the baton to us. 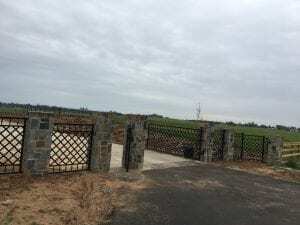 We set to work making this dream home a reality. Over the next four weeks, we produced 5,000 square feet of flats and 900 linear feet of corners. 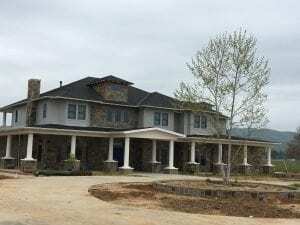 When we called Don and Lilly with the news that the order was complete, they confirmed their mason was ready to receive it, and we sent this shipment of Potomac Natural Thin Stone Veneer to its new home. It took two full 53” flatbed semis to deliver! 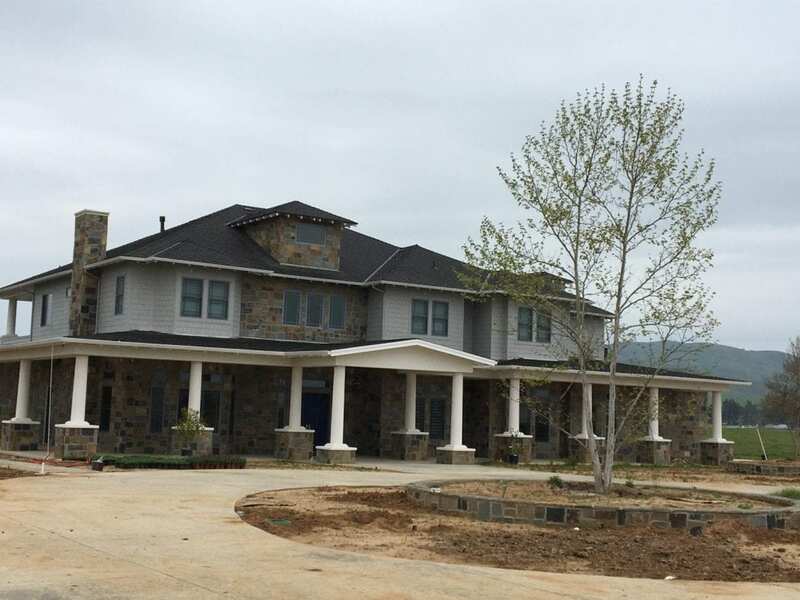 The masons have artfully applied the Potomac Thin Stone Veneer to this California dream home. The landscaping is in progress and Don and Lilly can’t wait to move in! They are overjoyed with the craftsmanship and quality of our stone and the look of their new home! We are happy to call Don and Lilly a part of our Quarry Mill family.